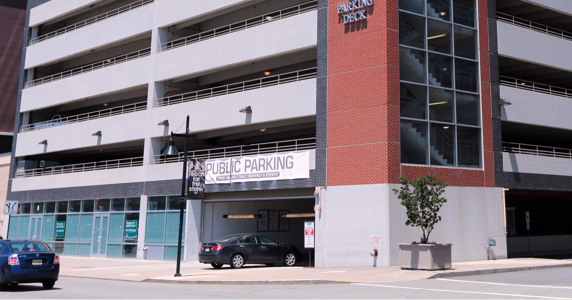 Prudential Center is one of the most easily accessible arenas in the country with over 3,500 parking spaces within 2 blocks. Highways surrounding the arena include 280, 78, NJ Turnpike, 1 & 9, 21, 22, Garden State Parkway, 80 and NJ 3. Prudential Center will be on your left hand side. Take Exit 14 toward I-78. Take the center ramp after the toll booth toward US-1-9 / RT-21. Keep right to stay on the ramp toward US-1 / US-9. Continue on US-1-9 (approx 3 miles) and exit on the right onto RT-21 McCarter Hwy. Follow Route 280 East to Exit 15 (Route 21 - Downtown/Arts). Plymouth Rock Assurance wants to help you get to Prudential Center, and make sure you #GetHomeSafe! Our NJ auto policies come with the Get Home Safe® taxi fare reimbursement program, so you can take a safe ride home when you need one. See the full details here. And, Plymouth Rock’s Prudential Center Assurance Plus Endorsement, gives you an additional Get Home Safe ride from any Prudential Center event – whether it’s your favorite concert or Devils game – along with many other great benefits.